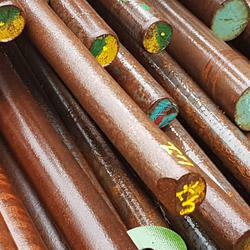 Offering you a complete choice of products which include 1.0501, c35 steel round bar, rods & bars, 1.0509, e410 steel round bar, rods & bars, 1.0512, s355k2h steel round bar, rods & bars, 1.0517, c48d steel round bar, rods & bars, 1.0522, s390gp steel round bar, rods & bars and 1.0528, c30 steel round bar, rods & bars. Jayant Impex Pvt Ltd, India, Maharashtra, Khopoli, Mumbai are leading 1.0501 / C35 Bars & Rods - Flat, Square, Ring, Hollow, Hex , alloy steel bars, carbon steel, alloy steel supplier, exporter, trader, wholesaler, stockiest, retailer, dealer, distributor, stock holder. 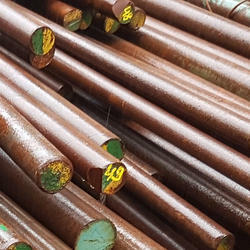 Client can procure smaller quantities of 1.0501 / C35 Bars & Rods - Flat, Square, Ring, Hollow, Hex online ready stock at premium price from us to any destination by just sending us an email. If any requirements for 1.0501 / C35 Bars & Rods - Flat, Square, Ring, Hollow, Hex kindly do contact us. Jayant Impex Pvt Ltd, India, Maharashtra, Khopoli, Mumbai are leading 1.0509 / E410 Bars & Rods - Flat, Square, Ring, Hollow, Hex , alloy steel bars, carbon steel, alloy steel supplier, exporter, trader, wholesaler, stockiest, retailer, dealer, distributor, stock holder. Client can procure smaller quantities of 1.0509 / E410 Bars & Rods - Flat, Square, Ring, Hollow, Hex online ready stock at premium price from us to any destination by just sending us an email. If any requirements for 1.0509 / E410 Bars & Rods - Flat, Square, Ring, Hollow, Hex kindly do contact us. Jayant Impex Pvt Ltd, India, Maharashtra, Khopoli, Mumbai are leading 1.0512 / S355K2H Bars & Rods - Flat, Square, Ring, Hollow, Hex , alloy steel bars, carbon steel, alloy steel supplier, exporter, trader, wholesaler, stockiest, retailer, dealer, distributor, stock holder. 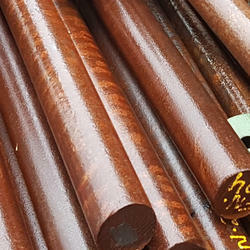 Client can procure smaller quantities of 1.0512 / S355K2H Bars & Rods - Flat, Square, Ring, Hollow, Hex online ready stock at premium price from us to any destination by just sending us an email. If any requirements for 1.0512 / S355K2H Bars & Rods - Flat, Square, Ring, Hollow, Hex kindly do contact us. Jayant Impex Pvt Ltd, India, Maharashtra, Khopoli, Mumbai are leading 1.0517 / C48D Bars & Rods - Flat, Square, Ring, Hollow, Hex , alloy steel bars, carbon steel, alloy steel supplier, exporter, trader, wholesaler, stockiest, retailer, dealer, distributor, stock holder. 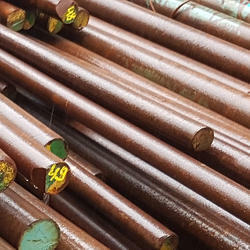 Client can procure smaller quantities of 1.0517 / C48D Bars & Rods - Flat, Square, Ring, Hollow, Hex online ready stock at premium price from us to any destination by just sending us an email. If any requirements for 1.0517 / C48D Bars & Rods - Flat, Square, Ring, Hollow, Hex kindly do contact us. Jayant Impex Pvt Ltd, India, Maharashtra, Khopoli, Mumbai are leading 1.0522 / S390GP Bars & Rods - Flat, Square, Ring, Hollow, Hex , alloy steel bars, carbon steel, alloy steel supplier, exporter, trader, wholesaler, stockiest, retailer, dealer, distributor, stock holder. 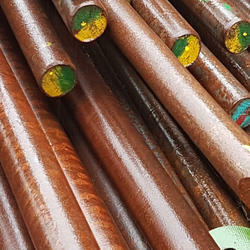 Client can procure smaller quantities of 1.0522 / S390GP Bars & Rods - Flat, Square, Ring, Hollow, Hex online ready stock at premium price from us to any destination by just sending us an email. If any requirements for 1.0522 / S390GP Bars & Rods - Flat, Square, Ring, Hollow, Hex kindly do contact us. Jayant Impex Pvt Ltd, India, Maharashtra, Khopoli, Mumbai are leading 1.0528 / C30 Bars & Rods - Flat, Square, Ring, Hollow, Hex , alloy steel bars, carbon steel, alloy steel supplier, exporter, trader, wholesaler, stockiest, retailer, dealer, distributor, stock holder. 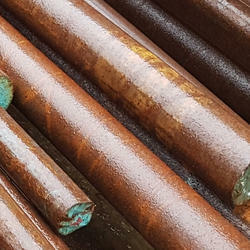 Client can procure smaller quantities of 1.0528 / C30 Bars & Rods - Flat, Square, Ring, Hollow, Hex online ready stock at premium price from us to any destination by just sending us an email. If any requirements for 1.0528 / C30 Bars & Rods - Flat, Square, Ring, Hollow, Hex kindly do contact us. Jayant Impex Pvt Ltd, India, Maharashtra, Khopoli, Mumbai are leading 1.0530 / C32D Bars & Rods - Flat, Square, Ring, Hollow, Hex , alloy steel bars, carbon steel, alloy steel supplier, exporter, trader, wholesaler, stockiest, retailer, dealer, distributor, stock holder. 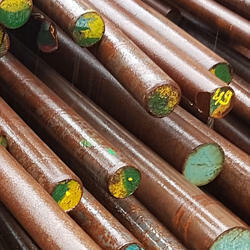 Client can procure smaller quantities of 1.0530 / C32D Bars & Rods - Flat, Square, Ring, Hollow, Hex online ready stock at premium price from us to any destination by just sending us an email. If any requirements for 1.0530 / C32D Bars & Rods - Flat, Square, Ring, Hollow, Hex kindly do contact us. Jayant Impex Pvt Ltd, India, Maharashtra, Khopoli, Mumbai are leading 1.0533 / E295GC Bars & Rods - Flat, Square, Ring, Hollow, Hex , alloy steel bars, carbon steel, alloy steel supplier, exporter, trader, wholesaler, stockiest, retailer, dealer, distributor, stock holder. 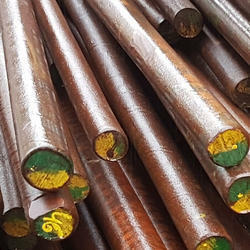 Client can procure smaller quantities of 1.0533 / E295GC Bars & Rods - Flat, Square, Ring, Hollow, Hex online ready stock at premium price from us to any destination by just sending us an email. If any requirements for 1.0533 / E295GC Bars & Rods - Flat, Square, Ring, Hollow, Hex kindly do contact us. Jayant Impex Pvt Ltd, India, Maharashtra, Khopoli, Mumbai are leading 1.0536 / E470 Bars & Rods - Flat, Square, Ring, Hollow, Hex , alloy steel bars, carbon steel, alloy steel supplier, exporter, trader, wholesaler, stockiest, retailer, dealer, distributor, stock holder. 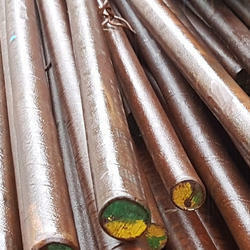 Client can procure smaller quantities of 1.0536 / E470 Bars & Rods - Flat, Square, Ring, Hollow, Hex online ready stock at premium price from us to any destination by just sending us an email. If any requirements for 1.0536 / E470 Bars & Rods - Flat, Square, Ring, Hollow, Hex kindly do contact us. Jayant Impex Pvt Ltd, India, Maharashtra, Khopoli, Mumbai are leading 1.0540 / C50 Bars & Rods - Flat, Square, Ring, Hollow, Hex , alloy steel bars, carbon steel, alloy steel supplier, exporter, trader, wholesaler, stockiest, retailer, dealer, distributor, stock holder. 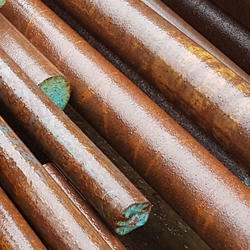 Client can procure smaller quantities of 1.0540 / C50 Bars & Rods - Flat, Square, Ring, Hollow, Hex online ready stock at premium price from us to any destination by just sending us an email. If any requirements for 1.0540 / C50 Bars & Rods - Flat, Square, Ring, Hollow, Hex kindly do contact us. Jayant Impex Pvt Ltd, India, Maharashtra, Khopoli, Mumbai are leading 1.0543 / E335GC Bars & Rods - Flat, Square, Ring, Hollow, Hex , alloy steel bars, carbon steel, alloy steel supplier, exporter, trader, wholesaler, stockiest, retailer, dealer, distributor, stock holder. 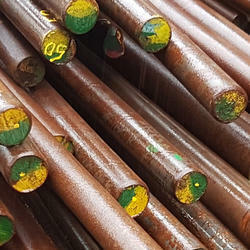 Client can procure smaller quantities of 1.0543 / E335GC Bars & Rods - Flat, Square, Ring, Hollow, Hex online ready stock at premium price from us to any destination by just sending us an email. If any requirements for 1.0543 / E335GC Bars & Rods - Flat, Square, Ring, Hollow, Hex kindly do contact us. Jayant Impex Pvt Ltd, India, Maharashtra, Khopoli, Mumbai are leading 1.0546 / S355NL Bars & Rods - Flat, Square, Ring, Hollow, Hex , alloy steel bars, carbon steel, alloy steel supplier, exporter, trader, wholesaler, stockiest, retailer, dealer, distributor, stock holder. 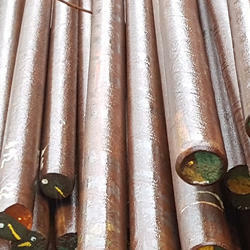 Client can procure smaller quantities of 1.0546 / S355NL Bars & Rods - Flat, Square, Ring, Hollow, Hex online ready stock at premium price from us to any destination by just sending us an email. If any requirements for 1.0546 / S355NL Bars & Rods - Flat, Square, Ring, Hollow, Hex kindly do contact us. Jayant Impex Pvt Ltd, India, Maharashtra, Khopoli, Mumbai are leading 1.0548 / HC340LA Bars & Rods - Flat, Square, Ring, Hollow, Hex , alloy steel bars, carbon steel, alloy steel supplier, exporter, trader, wholesaler, stockiest, retailer, dealer, distributor, stock holder. 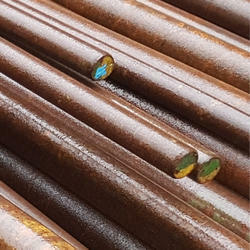 Client can procure smaller quantities of 1.0548 / HC340LA Bars & Rods - Flat, Square, Ring, Hollow, Hex online ready stock at premium price from us to any destination by just sending us an email. If any requirements for 1.0548 / HC340LA Bars & Rods - Flat, Square, Ring, Hollow, Hex kindly do contact us. Jayant Impex Pvt Ltd, India, Maharashtra, Khopoli, Mumbai are leading 1.0550 / HC380LA Bars & Rods - Flat, Square, Ring, Hollow, Hex , alloy steel bars, carbon steel, alloy steel supplier, exporter, trader, wholesaler, stockiest, retailer, dealer, distributor, stock holder. Client can procure smaller quantities of 1.0550 / HC380LA Bars & Rods - Flat, Square, Ring, Hollow, Hex online ready stock at premium price from us to any destination by just sending us an email. If any requirements for 1.0550 / HC380LA Bars & Rods - Flat, Square, Ring, Hollow, Hex kindly do contact us. Jayant Impex Pvt Ltd, India, Maharashtra, Khopoli, Mumbai are leading 1.0554 / S355J0C Bars & Rods - Flat, Square, Ring, Hollow, Hex , alloy steel bars, carbon steel, alloy steel supplier, exporter, trader, wholesaler, stockiest, retailer, dealer, distributor, stock holder. 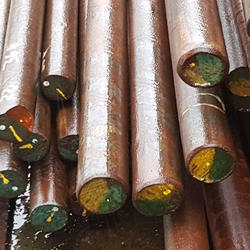 Client can procure smaller quantities of 1.0554 / S355J0C Bars & Rods - Flat, Square, Ring, Hollow, Hex online ready stock at premium price from us to any destination by just sending us an email. If any requirements for 1.0554 / S355J0C Bars & Rods - Flat, Square, Ring, Hollow, Hex kindly do contact us. Jayant Impex Pvt Ltd, India, Maharashtra, Khopoli, Mumbai are leading 1.0557 / P355NB Bars & Rods - Flat, Square, Ring, Hollow, Hex , alloy steel bars, carbon steel, alloy steel supplier, exporter, trader, wholesaler, stockiest, retailer, dealer, distributor, stock holder. 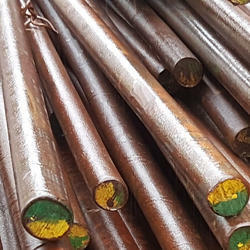 Client can procure smaller quantities of 1.0557 / P355NB Bars & Rods - Flat, Square, Ring, Hollow, Hex online ready stock at premium price from us to any destination by just sending us an email. If any requirements for 1.0557 / P355NB Bars & Rods - Flat, Square, Ring, Hollow, Hex kindly do contact us. Jayant Impex Pvt Ltd, India, Maharashtra, Khopoli, Mumbai are leading 1.0562 / P355N Bars & Rods - Flat, Square, Ring, Hollow, Hex , alloy steel bars, carbon steel, alloy steel supplier, exporter, trader, wholesaler, stockiest, retailer, dealer, distributor, stock holder. 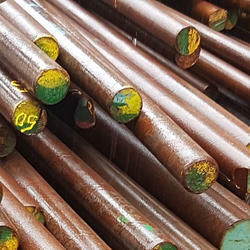 Client can procure smaller quantities of 1.0562 / P355N Bars & Rods - Flat, Square, Ring, Hollow, Hex online ready stock at premium price from us to any destination by just sending us an email. If any requirements for 1.0562 / P355N Bars & Rods - Flat, Square, Ring, Hollow, Hex kindly do contact us. Jayant Impex Pvt Ltd, India, Maharashtra, Khopoli, Mumbai are leading 1.0566 / P355NL1 Bars & Rods - Flat, Square, Ring, Hollow, Hex , alloy steel bars, carbon steel, alloy steel supplier, exporter, trader, wholesaler, stockiest, retailer, dealer, distributor, stock holder. 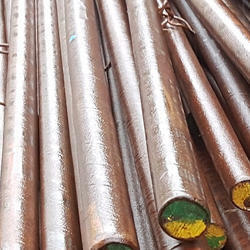 Client can procure smaller quantities of 1.0566 / P355NL1 Bars & Rods - Flat, Square, Ring, Hollow, Hex online ready stock at premium price from us to any destination by just sending us an email. If any requirements for 1.0566 / P355NL1 Bars & Rods - Flat, Square, Ring, Hollow, Hex kindly do contact us. 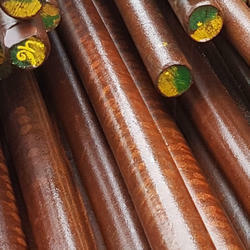 Jayant Impex Pvt Ltd, India, Maharashtra, Khopoli, Mumbai are leading 1.0570(dubl) / S355J2(+N) Bars & Rods - Flat, Square, Ring, Hollow, Hex , alloy steel bars, carbon steel, alloy steel supplier, exporter, trader, wholesaler, stockiest, retailer, dealer, distributor, stock holder. Client can procure smaller quantities of 1.0570(dubl) / S355J2(+N) Bars & Rods - Flat, Square, Ring, Hollow, Hex online ready stock at premium price from us to any destination by just sending us an email. If any requirements for 1.0570(dubl) / S355J2(+N) Bars & Rods - Flat, Square, Ring, Hollow, Hex kindly do contact us. Jayant Impex Pvt Ltd, India, Maharashtra, Khopoli, Mumbai are leading 1.0577 / S355J2 Bars & Rods - Flat, Square, Ring, Hollow, Hex , alloy steel bars, carbon steel, alloy steel supplier, exporter, trader, wholesaler, stockiest, retailer, dealer, distributor, stock holder. 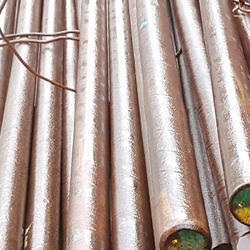 Client can procure smaller quantities of 1.0577 / S355J2 Bars & Rods - Flat, Square, Ring, Hollow, Hex online ready stock at premium price from us to any destination by just sending us an email. If any requirements for 1.0577 / S355J2 Bars & Rods - Flat, Square, Ring, Hollow, Hex kindly do contact us. Jayant Impex Pvt Ltd, India, Maharashtra, Khopoli, Mumbai are leading 1.0579 / S355J2C Bars & Rods - Flat, Square, Ring, Hollow, Hex , alloy steel bars, carbon steel, alloy steel supplier, exporter, trader, wholesaler, stockiest, retailer, dealer, distributor, stock holder. 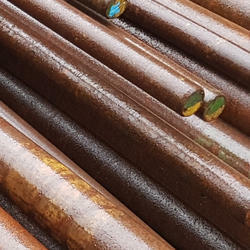 Client can procure smaller quantities of 1.0579 / S355J2C Bars & Rods - Flat, Square, Ring, Hollow, Hex online ready stock at premium price from us to any destination by just sending us an email. If any requirements for 1.0579 / S355J2C Bars & Rods - Flat, Square, Ring, Hollow, Hex kindly do contact us. Jayant Impex Pvt Ltd, India, Maharashtra, Khopoli, Mumbai are leading 1.0582 / L360NB Bars & Rods - Flat, Square, Ring, Hollow, Hex , alloy steel bars, carbon steel, alloy steel supplier, exporter, trader, wholesaler, stockiest, retailer, dealer, distributor, stock holder. 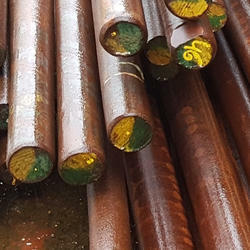 Client can procure smaller quantities of 1.0582 / L360NB Bars & Rods - Flat, Square, Ring, Hollow, Hex online ready stock at premium price from us to any destination by just sending us an email. If any requirements for 1.0582 / L360NB Bars & Rods - Flat, Square, Ring, Hollow, Hex kindly do contact us. Jayant Impex Pvt Ltd, India, Maharashtra, Khopoli, Mumbai are leading 1.0588 / C52D Bars & Rods - Flat, Square, Ring, Hollow, Hex , alloy steel bars, carbon steel, alloy steel supplier, exporter, trader, wholesaler, stockiest, retailer, dealer, distributor, stock holder. Client can procure smaller quantities of 1.0588 / C52D Bars & Rods - Flat, Square, Ring, Hollow, Hex online ready stock at premium price from us to any destination by just sending us an email. If any requirements for 1.0588 / C52D Bars & Rods - Flat, Square, Ring, Hollow, Hex kindly do contact us. Jayant Impex Pvt Ltd, India, Maharashtra, Khopoli, Mumbai are leading 1.0575 / E420 Bars & Rods - Flat, Square, Ring, Hollow, Hex , alloy steel bars, carbon steel, alloy steel supplier, exporter, trader, wholesaler, stockiest, retailer, dealer, distributor, stock holder. Client can procure smaller quantities of 1.0575 / E420 Bars & Rods - Flat, Square, Ring, Hollow, Hex online ready stock at premium price from us to any destination by just sending us an email. If any requirements for 1.0575 / E420 Bars & Rods - Flat, Square, Ring, Hollow, Hex kindly do contact us. Jayant Impex Pvt Ltd, India, Maharashtra, Khopoli, Mumbai are leading 1.0594 / S355K2C Bars & Rods - Flat, Square, Ring, Hollow, Hex , alloy steel bars, carbon steel, alloy steel supplier, exporter, trader, wholesaler, stockiest, retailer, dealer, distributor, stock holder. 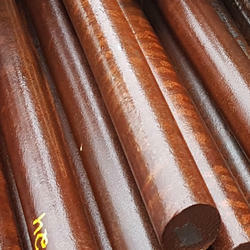 Client can procure smaller quantities of 1.0594 / S355K2C Bars & Rods - Flat, Square, Ring, Hollow, Hex online ready stock at premium price from us to any destination by just sending us an email. If any requirements for 1.0594 / S355K2C Bars & Rods - Flat, Square, Ring, Hollow, Hex kindly do contact us. Jayant Impex Pvt Ltd, India, Maharashtra, Khopoli, Mumbai are leading 1.0596 / S355K2 Bars & Rods - Flat, Square, Ring, Hollow, Hex , alloy steel bars, carbon steel, alloy steel supplier, exporter, trader, wholesaler, stockiest, retailer, dealer, distributor, stock holder. 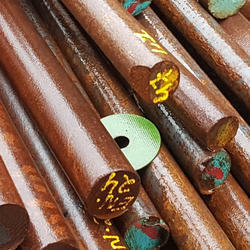 Client can procure smaller quantities of 1.0596 / S355K2 Bars & Rods - Flat, Square, Ring, Hollow, Hex online ready stock at premium price from us to any destination by just sending us an email. If any requirements for 1.0596 / S355K2 Bars & Rods - Flat, Square, Ring, Hollow, Hex kindly do contact us. 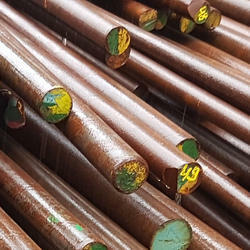 Jayant Impex Pvt Ltd, India, Maharashtra, Khopoli, Mumbai are leading 1.0503 / C45 Bars & Rods - Flat, Square, Ring, Hollow, Hex , alloy steel bars, carbon steel, alloy steel supplier, exporter, trader, wholesaler, stockiest, retailer, dealer, distributor, stock holder. Client can procure smaller quantities of 1.0503 / C45 Bars & Rods - Flat, Square, Ring, Hollow, Hex online ready stock at premium price from us to any destination by just sending us an email. If any requirements for 1.0503 / C45 Bars & Rods - Flat, Square, Ring, Hollow, Hex kindly do contact us. Jayant Impex Pvt Ltd, India, Maharashtra, Khopoli, Mumbai are leading 1.0511 / C40 Bars & Rods - Flat, Square, Ring, Hollow, Hex , alloy steel bars, carbon steel, alloy steel supplier, exporter, trader, wholesaler, stockiest, retailer, dealer, distributor, stock holder. 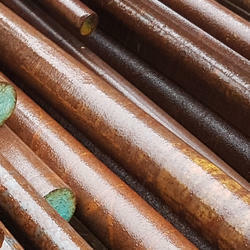 Client can procure smaller quantities of 1.0511 / C40 Bars & Rods - Flat, Square, Ring, Hollow, Hex online ready stock at premium price from us to any destination by just sending us an email. If any requirements for 1.0511 / C40 Bars & Rods - Flat, Square, Ring, Hollow, Hex kindly do contact us. Jayant Impex Pvt Ltd, India, Maharashtra, Khopoli, Mumbai are leading 1.0516 / C38D Bars & Rods - Flat, Square, Ring, Hollow, Hex , alloy steel bars, carbon steel, alloy steel supplier, exporter, trader, wholesaler, stockiest, retailer, dealer, distributor, stock holder. 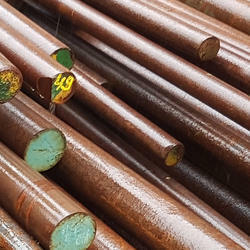 Client can procure smaller quantities of 1.0516 / C38D Bars & Rods - Flat, Square, Ring, Hollow, Hex online ready stock at premium price from us to any destination by just sending us an email. If any requirements for 1.0516 / C38D Bars & Rods - Flat, Square, Ring, Hollow, Hex kindly do contact us. Jayant Impex Pvt Ltd, India, Maharashtra, Khopoli, Mumbai are leading 1.0518 / C56D Bars & Rods - Flat, Square, Ring, Hollow, Hex , alloy steel bars, carbon steel, alloy steel supplier, exporter, trader, wholesaler, stockiest, retailer, dealer, distributor, stock holder. 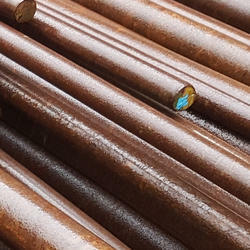 Client can procure smaller quantities of 1.0518 / C56D Bars & Rods - Flat, Square, Ring, Hollow, Hex online ready stock at premium price from us to any destination by just sending us an email. If any requirements for 1.0518 / C56D Bars & Rods - Flat, Square, Ring, Hollow, Hex kindly do contact us. Jayant Impex Pvt Ltd, India, Maharashtra, Khopoli, Mumbai are leading 1.0523 / S430GP Bars & Rods - Flat, Square, Ring, Hollow, Hex , alloy steel bars, carbon steel, alloy steel supplier, exporter, trader, wholesaler, stockiest, retailer, dealer, distributor, stock holder. 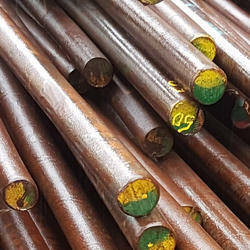 Client can procure smaller quantities of 1.0523 / S430GP Bars & Rods - Flat, Square, Ring, Hollow, Hex online ready stock at premium price from us to any destination by just sending us an email. If any requirements for 1.0523 / S430GP Bars & Rods - Flat, Square, Ring, Hollow, Hex kindly do contact us. Jayant Impex Pvt Ltd, India, Maharashtra, Khopoli, Mumbai are leading 1.0529 / S350GD Bars & Rods - Flat, Square, Ring, Hollow, Hex , alloy steel bars, carbon steel, alloy steel supplier, exporter, trader, wholesaler, stockiest, retailer, dealer, distributor, stock holder. 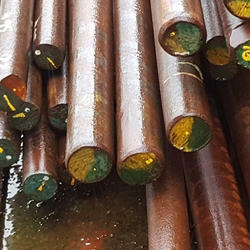 Client can procure smaller quantities of 1.0529 / S350GD Bars & Rods - Flat, Square, Ring, Hollow, Hex online ready stock at premium price from us to any destination by just sending us an email. If any requirements for 1.0529 / S350GD Bars & Rods - Flat, Square, Ring, Hollow, Hex kindly do contact us. 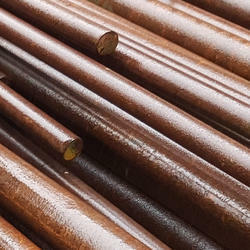 Jayant Impex Pvt Ltd, India, Maharashtra, Khopoli, Mumbai are leading 1.0535 / C55 Bars & Rods - Flat, Square, Ring, Hollow, Hex , alloy steel bars, carbon steel, alloy steel supplier, exporter, trader, wholesaler, stockiest, retailer, dealer, distributor, stock holder. 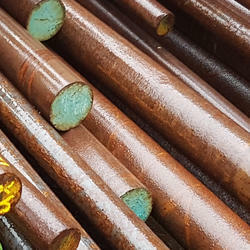 Client can procure smaller quantities of 1.0535 / C55 Bars & Rods - Flat, Square, Ring, Hollow, Hex online ready stock at premium price from us to any destination by just sending us an email. If any requirements for 1.0535 / C55 Bars & Rods - Flat, Square, Ring, Hollow, Hex kindly do contact us. 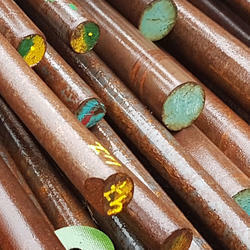 Jayant Impex Pvt Ltd, India, Maharashtra, Khopoli, Mumbai are leading 1.0539 / S355NH Bars & Rods - Flat, Square, Ring, Hollow, Hex , alloy steel bars, carbon steel, alloy steel supplier, exporter, trader, wholesaler, stockiest, retailer, dealer, distributor, stock holder. 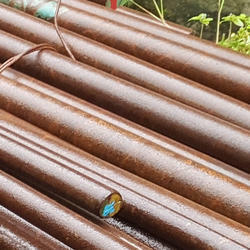 Client can procure smaller quantities of 1.0539 / S355NH Bars & Rods - Flat, Square, Ring, Hollow, Hex online ready stock at premium price from us to any destination by just sending us an email. If any requirements for 1.0539 / S355NH Bars & Rods - Flat, Square, Ring, Hollow, Hex kindly do contact us. Jayant Impex Pvt Ltd, India, Maharashtra, Khopoli, Mumbai are leading 1.0541 / C42D Bars & Rods - Flat, Square, Ring, Hollow, Hex , alloy steel bars, carbon steel, alloy steel supplier, exporter, trader, wholesaler, stockiest, retailer, dealer, distributor, stock holder. Client can procure smaller quantities of 1.0541 / C42D Bars & Rods - Flat, Square, Ring, Hollow, Hex online ready stock at premium price from us to any destination by just sending us an email. If any requirements for 1.0541 / C42D Bars & Rods - Flat, Square, Ring, Hollow, Hex kindly do contact us. Jayant Impex Pvt Ltd, India, Maharashtra, Khopoli, Mumbai are leading 1.0545 / S355N Bars & Rods - Flat, Square, Ring, Hollow, Hex , alloy steel bars, carbon steel, alloy steel supplier, exporter, trader, wholesaler, stockiest, retailer, dealer, distributor, stock holder. 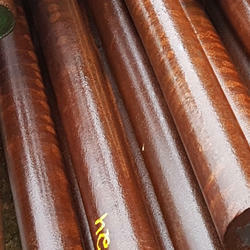 Client can procure smaller quantities of 1.0545 / S355N Bars & Rods - Flat, Square, Ring, Hollow, Hex online ready stock at premium price from us to any destination by just sending us an email. If any requirements for 1.0545 / S355N Bars & Rods - Flat, Square, Ring, Hollow, Hex kindly do contact us. 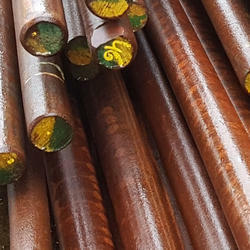 Jayant Impex Pvt Ltd, India, Maharashtra, Khopoli, Mumbai are leading 1.0547 / S355J0H Bars & Rods - Flat, Square, Ring, Hollow, Hex , alloy steel bars, carbon steel, alloy steel supplier, exporter, trader, wholesaler, stockiest, retailer, dealer, distributor, stock holder. 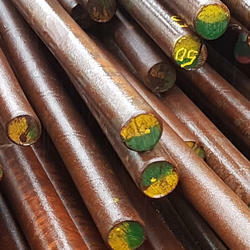 Client can procure smaller quantities of 1.0547 / S355J0H Bars & Rods - Flat, Square, Ring, Hollow, Hex online ready stock at premium price from us to any destination by just sending us an email. If any requirements for 1.0547 / S355J0H Bars & Rods - Flat, Square, Ring, Hollow, Hex kindly do contact us. 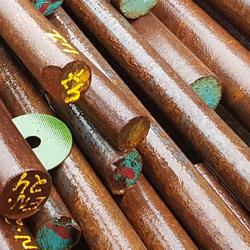 Jayant Impex Pvt Ltd, India, Maharashtra, Khopoli, Mumbai are leading 1.0549 / S355NLH Bars & Rods - Flat, Square, Ring, Hollow, Hex , alloy steel bars, carbon steel, alloy steel supplier, exporter, trader, wholesaler, stockiest, retailer, dealer, distributor, stock holder. 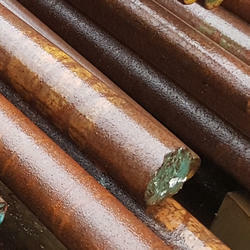 Client can procure smaller quantities of 1.0549 / S355NLH Bars & Rods - Flat, Square, Ring, Hollow, Hex online ready stock at premium price from us to any destination by just sending us an email. If any requirements for 1.0549 / S355NLH Bars & Rods - Flat, Square, Ring, Hollow, Hex kindly do contact us. 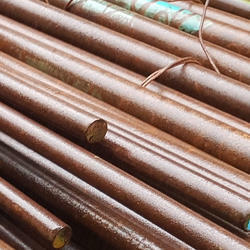 Jayant Impex Pvt Ltd, India, Maharashtra, Khopoli, Mumbai are leading 1.0553 / S355J0 Bars & Rods - Flat, Square, Ring, Hollow, Hex , alloy steel bars, carbon steel, alloy steel supplier, exporter, trader, wholesaler, stockiest, retailer, dealer, distributor, stock holder. 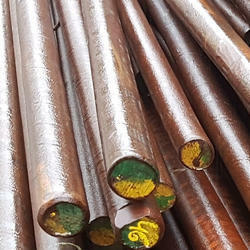 Client can procure smaller quantities of 1.0553 / S355J0 Bars & Rods - Flat, Square, Ring, Hollow, Hex online ready stock at premium price from us to any destination by just sending us an email. If any requirements for 1.0553 / S355J0 Bars & Rods - Flat, Square, Ring, Hollow, Hex kindly do contact us. Jayant Impex Pvt Ltd, India, Maharashtra, Khopoli, Mumbai are leading 1.0556 / HC420LA Bars & Rods - Flat, Square, Ring, Hollow, Hex , alloy steel bars, carbon steel, alloy steel supplier, exporter, trader, wholesaler, stockiest, retailer, dealer, distributor, stock holder. Client can procure smaller quantities of 1.0556 / HC420LA Bars & Rods - Flat, Square, Ring, Hollow, Hex online ready stock at premium price from us to any destination by just sending us an email. If any requirements for 1.0556 / HC420LA Bars & Rods - Flat, Square, Ring, Hollow, Hex kindly do contact us. Jayant Impex Pvt Ltd, India, Maharashtra, Khopoli, Mumbai are leading 1.0558 / GE300 Bars & Rods - Flat, Square, Ring, Hollow, Hex , alloy steel bars, carbon steel, alloy steel supplier, exporter, trader, wholesaler, stockiest, retailer, dealer, distributor, stock holder. Client can procure smaller quantities of 1.0558 / GE300 Bars & Rods - Flat, Square, Ring, Hollow, Hex online ready stock at premium price from us to any destination by just sending us an email. If any requirements for 1.0558 / GE300 Bars & Rods - Flat, Square, Ring, Hollow, Hex kindly do contact us. Jayant Impex Pvt Ltd, India, Maharashtra, Khopoli, Mumbai are leading 1.0565 / P355NH Bars & Rods - Flat, Square, Ring, Hollow, Hex , alloy steel bars, carbon steel, alloy steel supplier, exporter, trader, wholesaler, stockiest, retailer, dealer, distributor, stock holder. 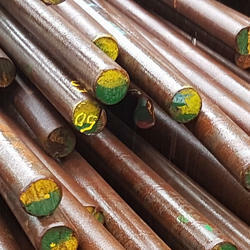 Client can procure smaller quantities of 1.0565 / P355NH Bars & Rods - Flat, Square, Ring, Hollow, Hex online ready stock at premium price from us to any destination by just sending us an email. If any requirements for 1.0565 / P355NH Bars & Rods - Flat, Square, Ring, Hollow, Hex kindly do contact us. Jayant Impex Pvt Ltd, India, Maharashtra, Khopoli, Mumbai are leading 1.0570 / S335J2G3 Bars & Rods - Flat, Square, Ring, Hollow, Hex , alloy steel bars, carbon steel, alloy steel supplier, exporter, trader, wholesaler, stockiest, retailer, dealer, distributor, stock holder. 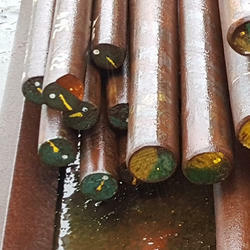 Client can procure smaller quantities of 1.0570 / S335J2G3 Bars & Rods - Flat, Square, Ring, Hollow, Hex online ready stock at premium price from us to any destination by just sending us an email. If any requirements for 1.0570 / S335J2G3 Bars & Rods - Flat, Square, Ring, Hollow, Hex kindly do contact us. Jayant Impex Pvt Ltd, India, Maharashtra, Khopoli, Mumbai are leading 1.0531 / S550GD Bars & Rods - Flat, Square, Ring, Hollow, Hex , alloy steel bars, carbon steel, alloy steel supplier, exporter, trader, wholesaler, stockiest, retailer, dealer, distributor, stock holder. 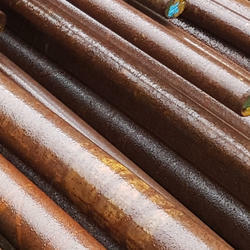 Client can procure smaller quantities of 1.0531 / S550GD Bars & Rods - Flat, Square, Ring, Hollow, Hex online ready stock at premium price from us to any destination by just sending us an email. If any requirements for 1.0531 / S550GD Bars & Rods - Flat, Square, Ring, Hollow, Hex kindly do contact us. 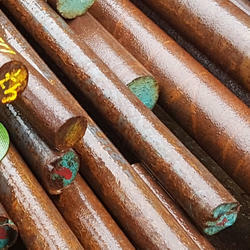 Looking for Medium Carbon Steel Bar & Rods ?